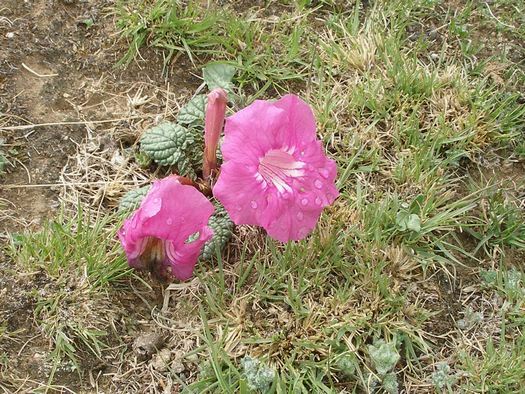 This page continues the collection of photos of flowers in Tibet, and my tribute to Alice Laarman, who loved Tibet, its flowers, and its people. As mentioned on the first page of this tribute, Alice taught English in Tibet for nine years. During that time she travelled quite a bit into the countryside in her appeciation of Tibet's natural beauty. Many times she went with her students from Tibet University. 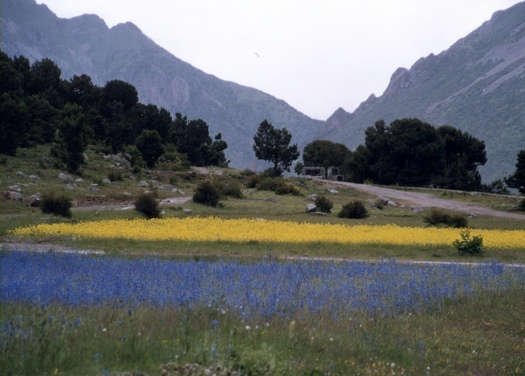 On one of those trips in 2003 she took this photograph of a field of flowers near Reting, Tibet. I'd be willing to bet that she sat down and spent some time just watching the wind sway these fields of blue and yellow flowers of Tibet. 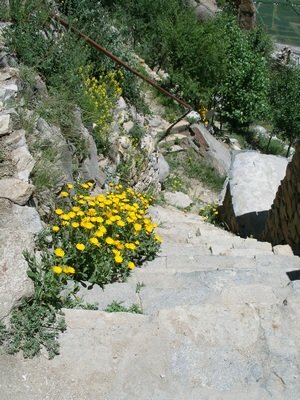 Here are some more yellow flowers just growing wild along one of the trails in Tibet. 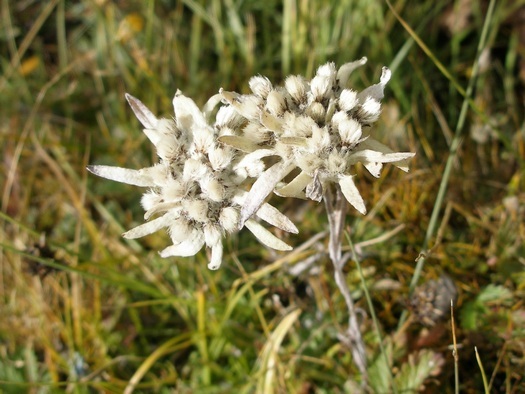 While most of the flowers in Tibet bloom in spring, the photograph above is of a flower in autumn. 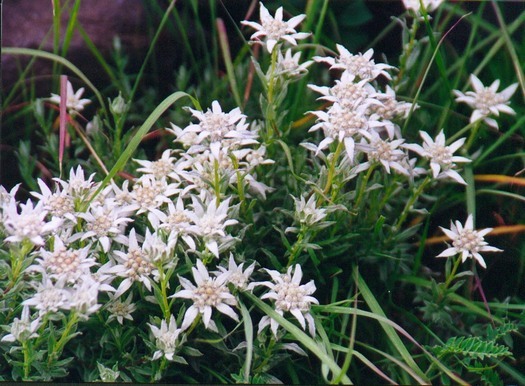 On the first of this three page series on the flowers of Tibet, I promised you more photographs of edelweiss. Here they are! 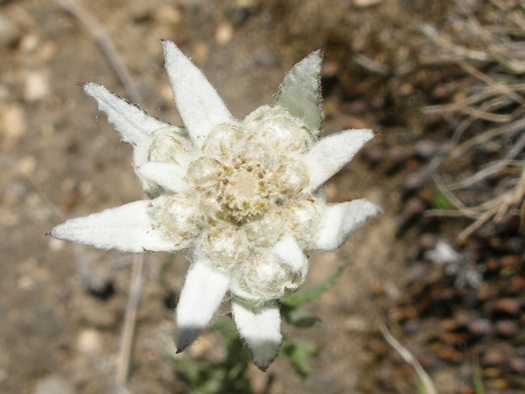 The next three photos are all of edelweiss growing wild on the hills and mountains of Tibet. 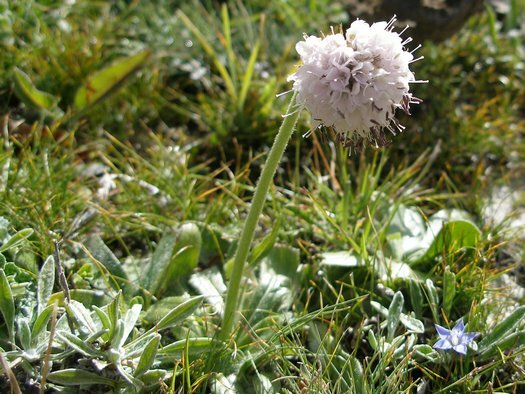 Of course, not all of the flowers in Tibet are growing wild. 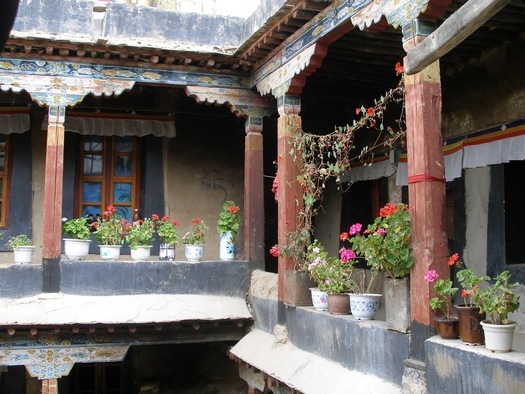 Tibetan people have a great love of colour (look at the eaves in this next photograph!) and they do have gardens and potted plants to supply some of the colour they love. 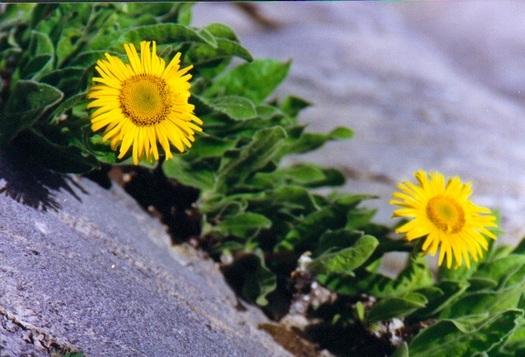 Click here to see the third page of Tibet flowers in honour of Alice.